In this post we look into how to provide Single Sign On to ShareFile, by Integrating with XenMobile and NetScaler. ShareFile can basically be run as MDX (XenMobile App) or Non-MDX (ShareFile Web, Sync Tool, Drive Mapper, Plugin). This post will cover both scenarios. It´s very important that Time settings on ShareFile Control Plane, XenMobile and NetScaler is in sync, if time is out of sync this will break SAML SSO. 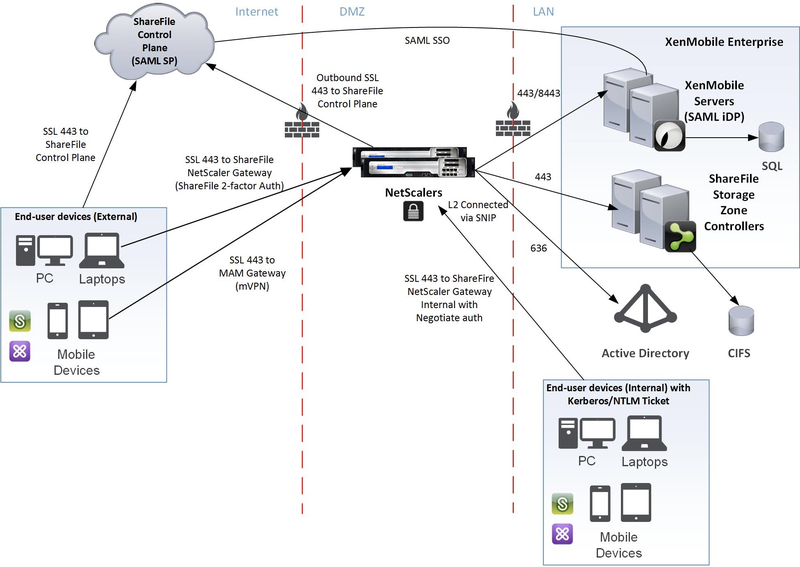 Following diagram shows ShareFile integrated with NetScaler and XenMobile. Configure ShareFile in XenMobile – do NOT set XenMobile to User Account Provisioning, this is being managed by ShareFile User Management Tool. 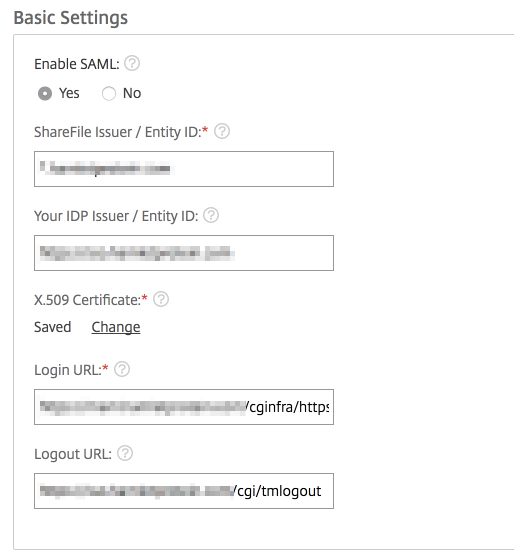 After configuration, save and select XenMobile SAML certificate which has been imported prior to configuration. 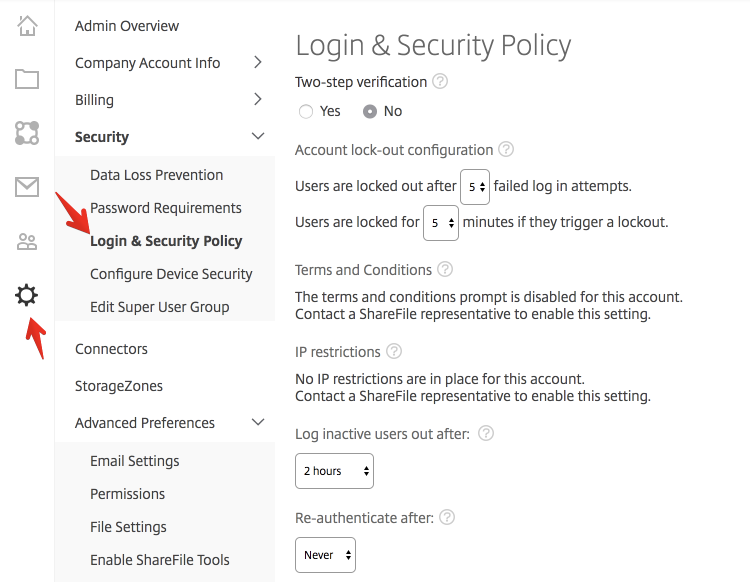 This configuration step is enabling SSO in ShareFile control plane. External users need to be redirected to NetScaler Gateway for authentication, 2-factor recommended. Internal users who already has a Kerberos or NTLM token need to Single Sign On into ShareFile. 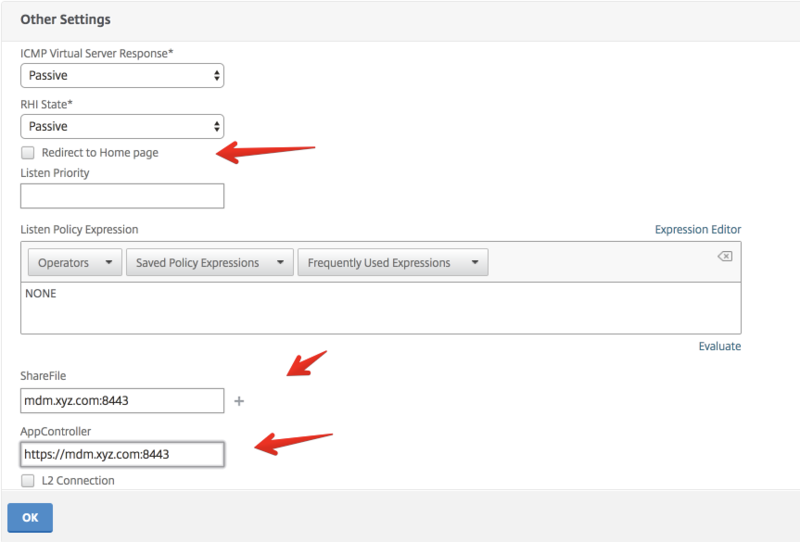 Therefore configure Negotiate Authentication Policy on internal NetScaler Gateway for ShareFile and XenMobile SAML iDP. This post will be updated with configuration steps required in order to setup Kerberos Constrained Delegation (KCD Account) to facilitate SSO for internal use case. Login to Control Plane, Go to Admin and Login & Security settings. Login URL needs to be changed to following for redirection to NetScaler Gateway for authentication and SAML from XenMobile. 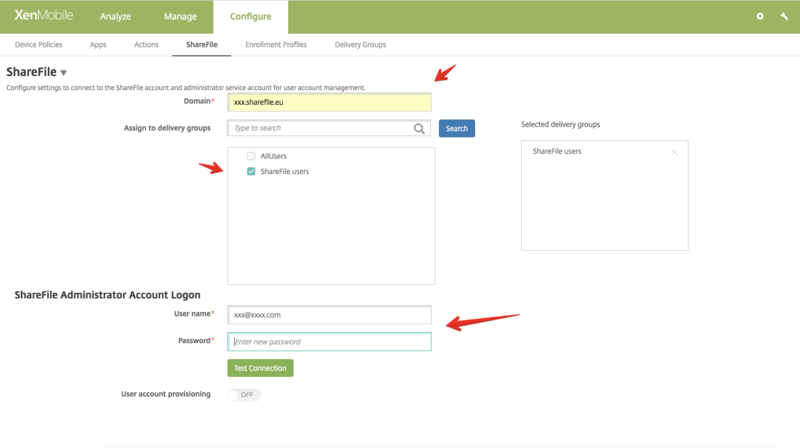 Note that everytime a change to ShareFile configuration occurs in XenMobile – Login URL resets to default XenMobile URL and ShareFile App name changes after update of ShareFile App!